Recognised as one of the first and most important of the great C18 Landscape Gardens with international significance, the project brings the interpretation of the Gardens and the recently restored Stowe Mansion house together for the first time, for the enjoyment of the visitor. The listed early C18 ‘New Inn’ was originally built by the Temple family as lodgings for the many visitors keen to see their new gardens. It is one of the very few remaining ‘three yard’ Inns in the country. The main part of the Inn built in 1717 survived in a very derelict condition, together with parts of the coaching Inn yard and surrounding agricultural buildings. By forming the new Visitor Facility in & around the surviving buildings, visitors once again enter the gardens by the Bell Gate as originally intended. The project required the construction of new buildings, in part reconstructing the form of the yards but in a contemporary form. The restoration of the New Inn, and the re-construction of the derelict and partly demolished yards, formed the most complex part of the project. Research revealed a history of ‘privacy’ in the changing social mores of the C18. In 1717 the rooms had no independent access with privacy provided only by the curtains around the 4 poster. By 1794, the Inn was reconfigured to provide a corridor and private accommodation. CGA bring considerable conservation skills to the project, including very detailed survey work and a clear understanding of conservation principles of repair and restoration. The Inn yard buildings are rebuilt referencing & reusing the surviving sections of the oak frames, with matched traditional joint techniques. Both the entrance to the visitor centre and the main entrance to the New Inn are reconstructed from an 1818 drawing. 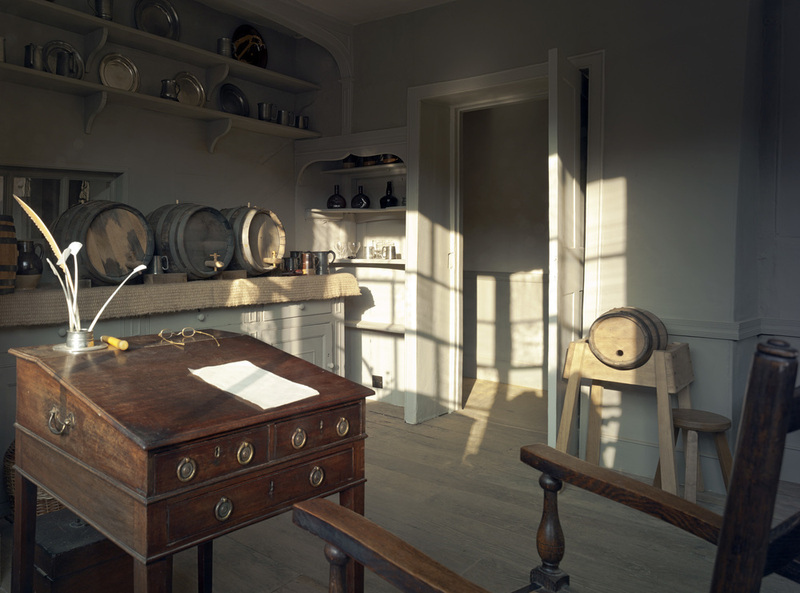 The Inn buildings contain an education room, parlour rooms, reception and back of house working areas. 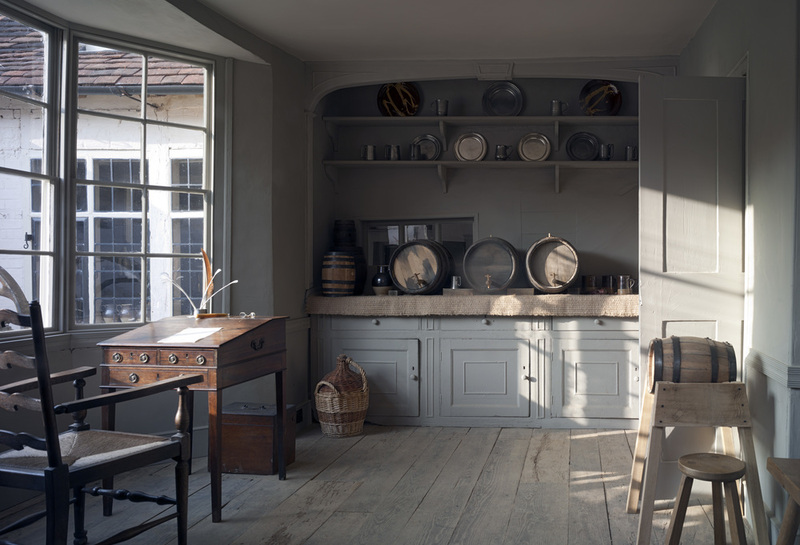 Rooms have been restored to their C18 appearance using lime plasters, historic finishes and restored fittings and joinery. Original wall papers were discovered and reprinted (now in the V&A), and a rare survivor of an early C18 stippled paint finish restored. Floors use stone slabs found on site, and wide board oak. In some cases up to 70% of the individual joinery frames were exactly repaired and matched to ensure accuracy & conservation of the detail that defines the New Inn. The complex of buildings is a highly successful cultural attraction and, year on year, exceeds its visitor targets. The quality and diversity of the offering provided by the New Inn and the contemporary additions helps maximise dwell time. The quality of thought put into the recording and retelling of the Inn’s history ensures that visitors have a genuinely immersive visitor experience. 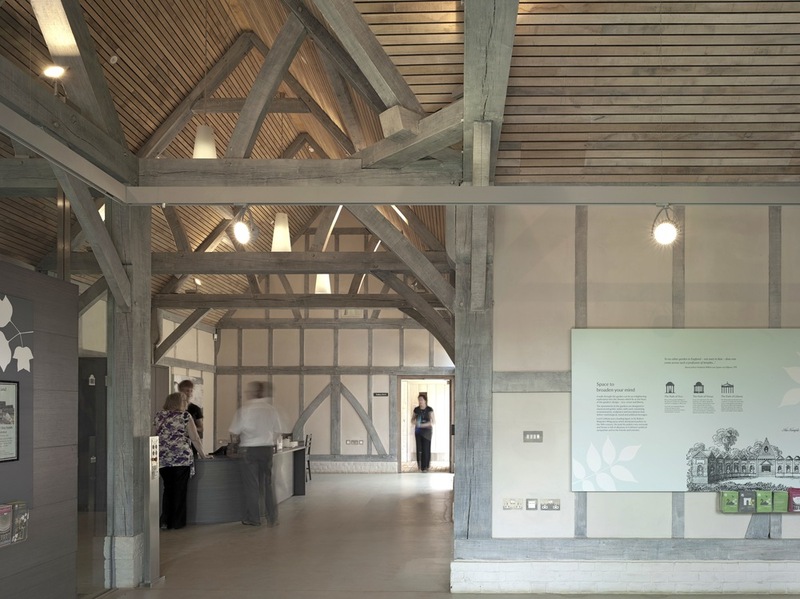 The project won both National & Regional RIBA Awards, The RIBA National Conservation Award, The Client of the Year Award at the Stirling Prize for the National Trust, The National Wood Award, and a number of local awards.